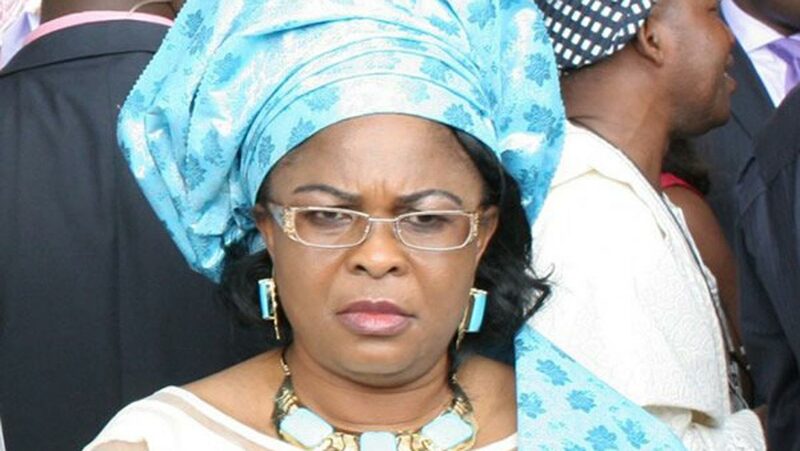 Wife of former President Goodluck Jonathan, Mrs. Patience Jonathan, has asked a Federal High Court sitting Lagos to unfreeze her accounts in which $8.4 million and N7.4 billion were domiciled. The former first lady, through her counsel, yesterday, passionately argued with the trial judge, Justice Mojisola Olatoregun, why the accounts should be released. After listening to Mrs. Jonathan’s counsel’s submission, the judge adjourned the case till November 13, 2018 to take video evidence and for the EFCC to explain why the accounts should remain frozen. After the respondents’ counsel moved their various motions for regularisation of processes, the court asked the applicant to move his motion for final forfeiture. Oyedepo told the court that the application for final forfeiture was dated May 8, 2018 seeking an order of the court for a final forfeiture of the sums of money listed in the application. He added that his application with an affidavit deposed to on May 20, 2018 by Orji Chukwuma, an EFCC operative, told the court that he relies on the written averments, as well as exhibits EFCC 12 and 13, in support of his application. Oyedepo further told the court that he also relies on the written address on the application and urged the court to grant the application for final forfeiture. However, Adedipe urged the court to refuse the application for final forfeiture on the grounds that there were insufficient facts before the court to warrant a final order. He argued that the sum of the applicant’s case is that it found monies in the first respondent’s account, which it said were reasonably suspected to be proceeds of unlawful activities. He argued that the commission neither invited the respondent nor prosecuted her. Adedipe also submitted that the applicant failed to take the preliminary steps, but sought an order of forfeiture, arguing that such practice fell short of prosecution procedures.